Organisers confirmed the schedule following warnings from Japanese medics that running in mid-morning could “lead to deaths” from heatstroke. The possibility of extreme weather, including typhoons, is a “major issue”, said Tokyo 2020 chief executive officer Toshiro Muto. The Olympics run from 24 July to 9 August. The men’s 50km race will begin at 05:30, while the schedules for triathlon, rugby sevens and mountain biking have also been moved to avoid the highest temperatures. When Japan last hosted the Olympics in 1964 they were held in October to avoid the summer heat. 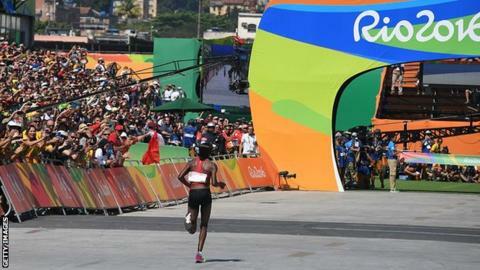 The marathons began at 09:30 local time at Rio 2016, when the temperature was 19C. Organisers have described the middle weekend of Tokyo 2020 – on 1 and 2 August – as “Super Saturday” and “Golden Sunday”. 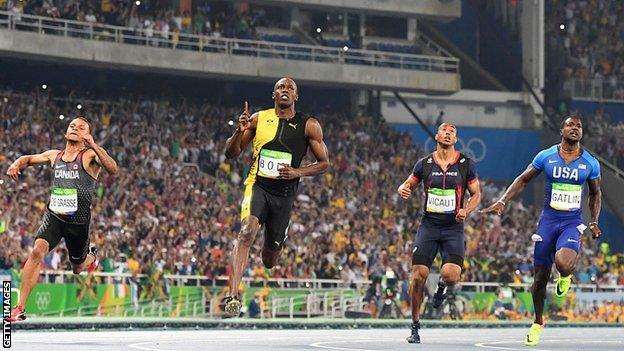 On Saturday 21 gold medals will be won, and a further 26 on Sunday, when the men’s 100m final, the women’s marathon and the men’s tennis singles final will take place. Day eight of the London 2012 Olympics was dubbed “Super Saturday” after Great Britain’s Jessica Ennis, Mo Farah and Greg Rutherford won gold in the space of 46 minutes. They were three of six GB gold medals on the day.